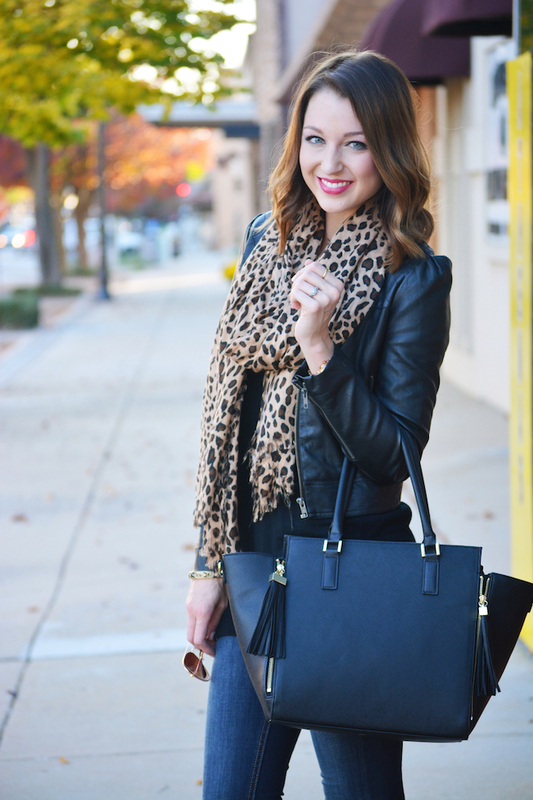 For my first Mizzou Style look I wanted to show an outfit I actually wore to a game a couple of weeks ago! 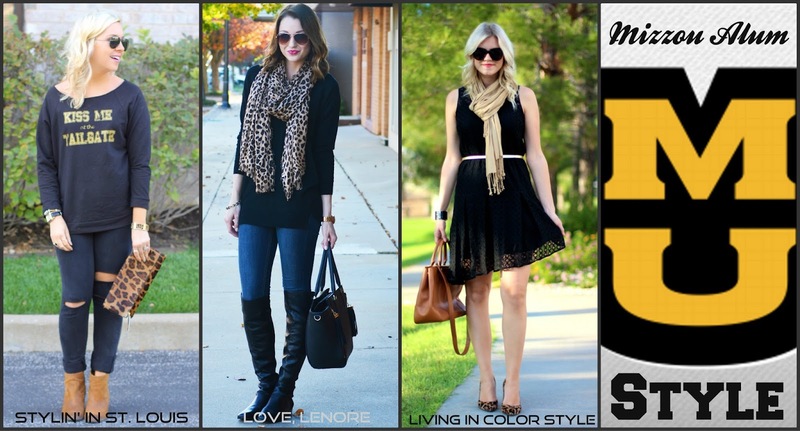 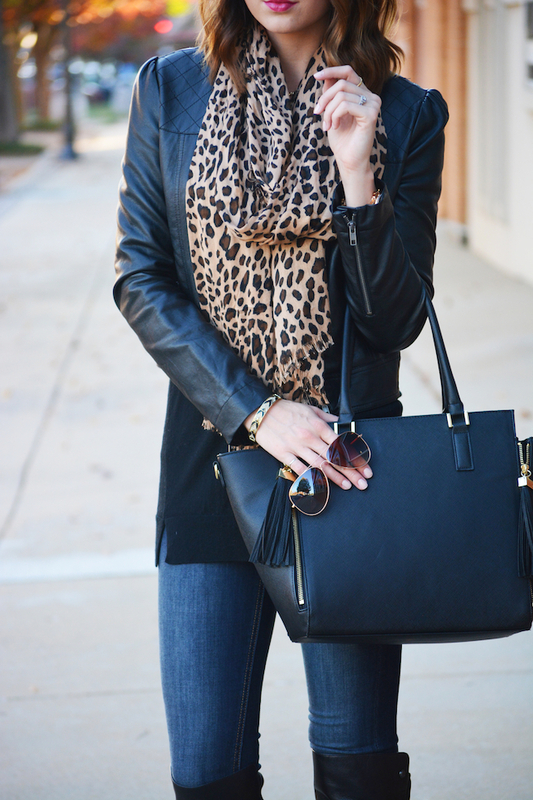 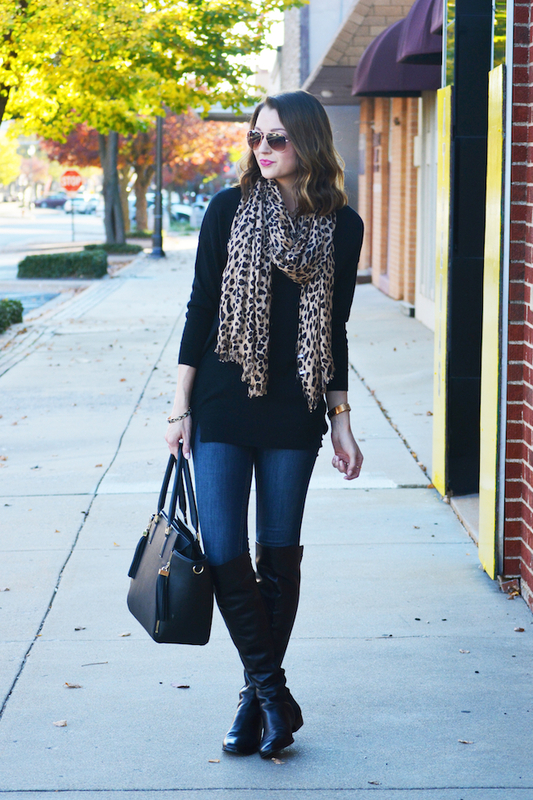 A simple black sweater is a closet essential in my book, and pairs perfectly with a leopard scarf for a chic bit of 'gold.' 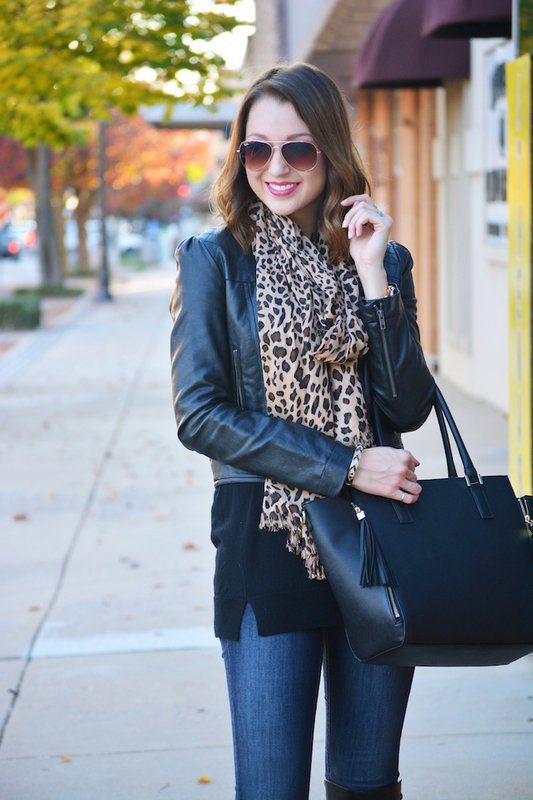 I went with a leather bomber jacket and my over-the-knee boots for some warmth, and then of course had to have sunglasses for the game.